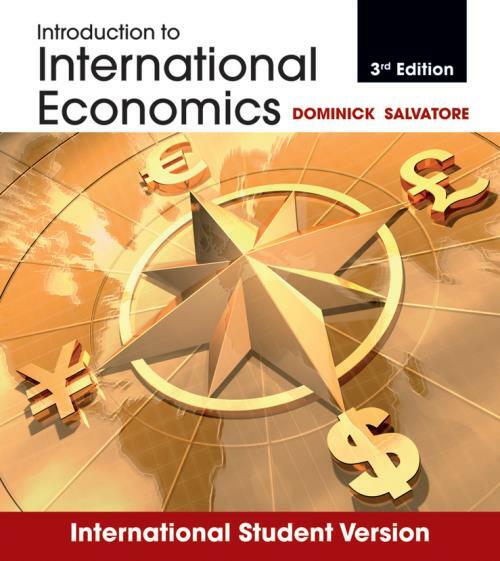 Introduction to International Economics by Dominick Salvatore offers a clear presentation of today′s global economy while explaining the workings of the world economy, the major benefits it provides to both people and nations, and the most serious challenges it faces. The text is filled with more than 85 current and relevant case studies and business examples, represented in every chapter. By using real–world data, Salvatore makes international economics applicable to all. Salvatore introduces the four principles of international economics that are essential to understanding, evaluating, and solving the important issues facing the United States and the world today. These principles– addressing topics from deep poverty in developing countries to the globalization of capital markets– are discussed in a simple but comprehensive way. The text also provides the most up–to–date and clear exposition of international economics principles.